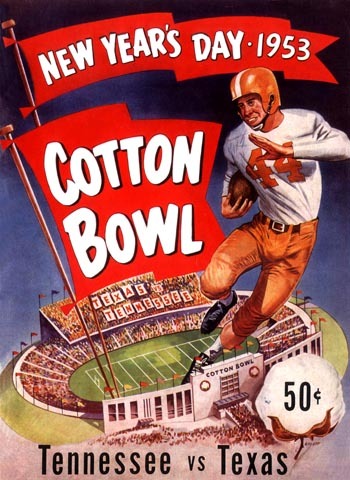 With losses only to powerhouses Notre Dame and Oklahoma to mar their record, the Longhorns swept through the Southwestern Conference and kept it up against the hapless Tennessee Volunteers in the Cotton Bowl. However, there is no truth to the rumor that an overjoyed J. Paul Getty, in a spontaneous gesture of fandom, gave an oil well to every man on the Texas squad. But it would have been only right.